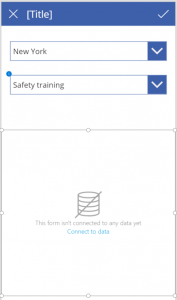 In SharePoint Online an app can be easily created using PowerApps to manage data. 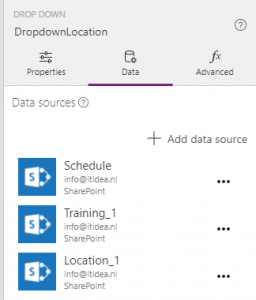 In this post I want to show you how to create cascading drop downs in an app and save the data back to SharePoint. 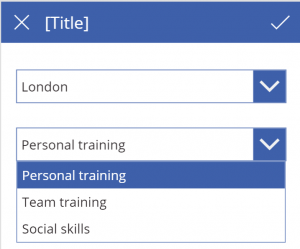 The purpose is to create a screen in the PowerApps app to select a Location and after the selection the items shown in the Training drop down will be narrowed to the trainings defined at the specified location in the Training list. 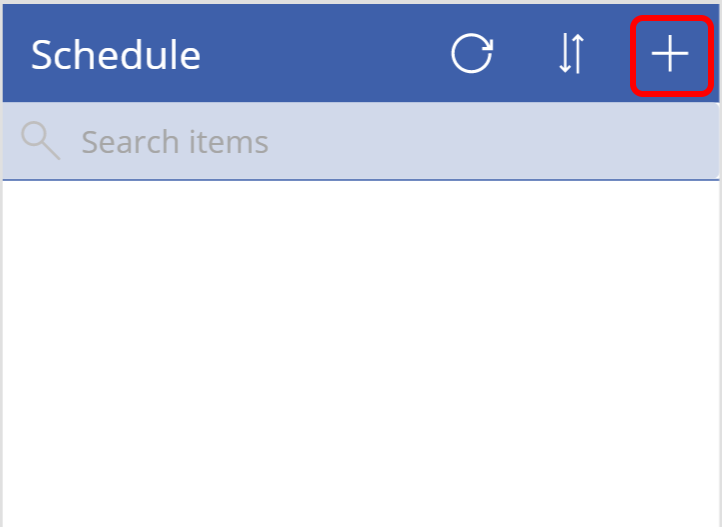 To fulfill the schedule a date can be filled and the item can be saved to the list in SharePoint. 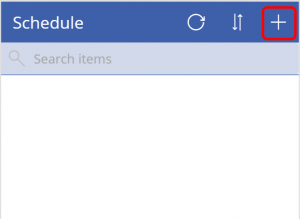 From the Schedule list in SharePoint create a new PowerApp. Give the app a name and select ‘Create’. 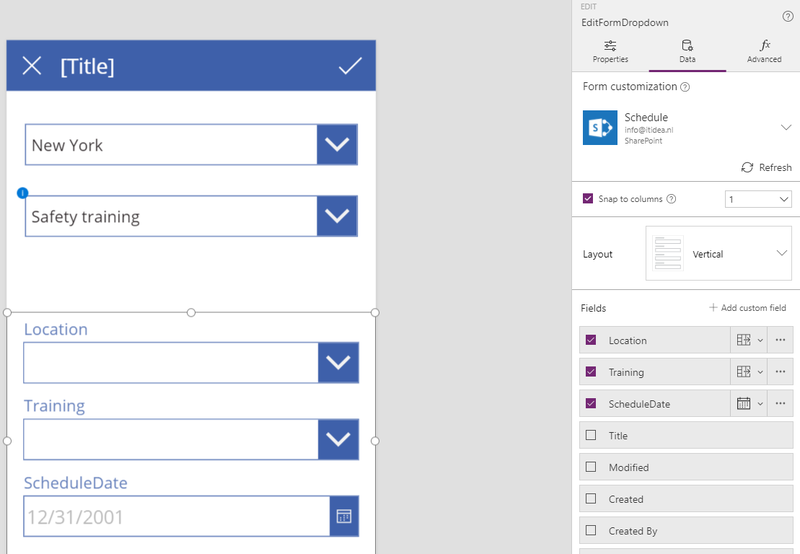 PowerApps is building the app out of the box with three screens: browse, detail and edit. The app is now fully functional and can be tested by selecting the Preview button (Play) in the top right of the screen. 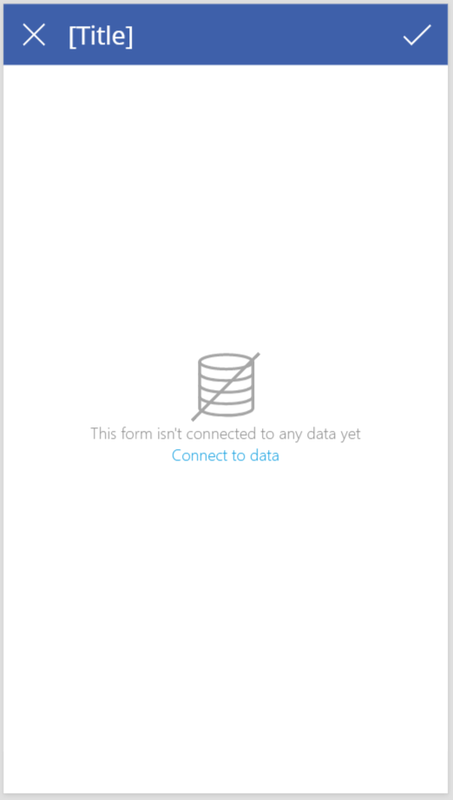 The app shows no data, because there is no data in the Schedule list. The Plus sign can be selected to navigate to the EditScreen in ‘New Item’ mode and a new item can be added to the list. After selecting a Location all items in the Training list are displayed to select from. Select one and fill in a date and the item can be saved to SharePoint. 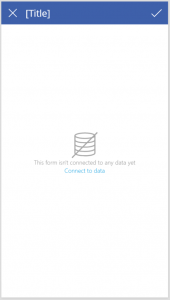 a functional app bound to the data source selected from where the app was created in SharePoint. To create the cascading drop downs functionality the approach is a bit different. The Schedule list has no knowledge of what Training is given in what Location. The Training list is. 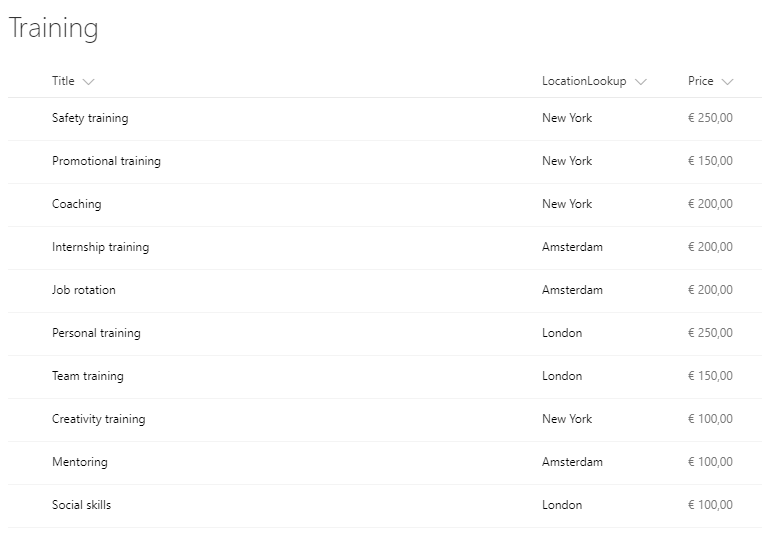 The Training list doesn’t has to be aware of all Locations. The Locations list is. The easiest approach is to create a new Form screen from the Insert tab, New Screen button. This screen consists of an EditForm and some controls, like the icons left and right at the top, the title label and the rectangular blue bar at the top. Controls have to be added to the screen (not the edit form! Make this control smaller if there isn’t any room left on the screen) to be able to select a Location and a Training by selecting Controls, Drop down from the Insert tab. 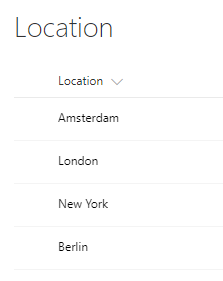 The Location drop down has to be bound to the Location list. The Training drop down has to be bound to the Training list. To do so select Data source from the View tab, connect to the appropriate SharePoint sites and add the two lists mentioned. 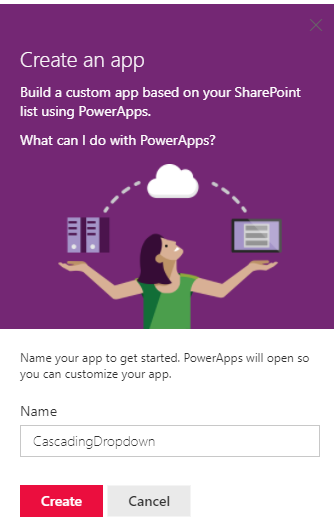 The ‘_1’ is added because the name is already been used by the ootb PowerApp created. To bind the Location drop down to the appropriate data source you have to select the drop down, select the property ‘Items’ and put in the value ‘Location_1’. The drop down is populated right away. 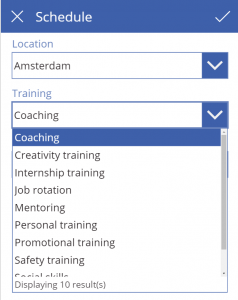 To create the cascading functionality the binding of the Training drop down will be dependent of the selection of the Location drop down. Hit the Preview button (Play) in the top right of the screen to see this working in the browser, but it works in design mode already. All right, the cascading drop downs are working! save it all back to SharePoint. And this is why I choose a new Form screen in the beginning, we’re going to use this now to make the saving back to SharePoint work. Of course a new Form can be added to a screen all the time. 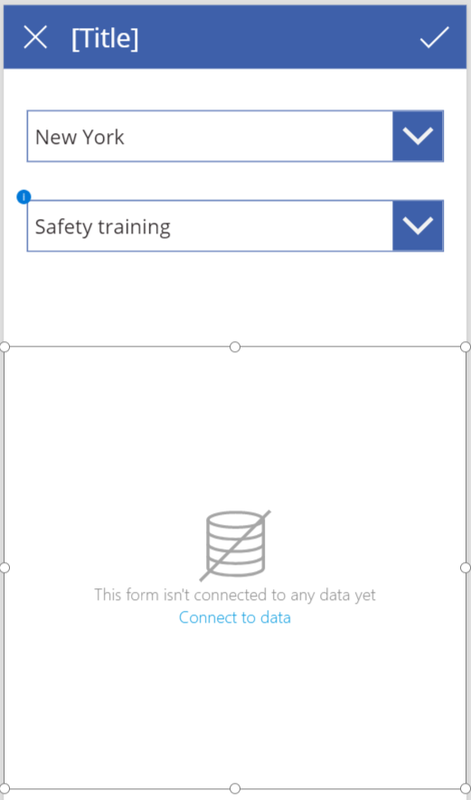 As the form displays it isn’t connected to any data yet. Since the Schedule list was already added as a data source, the form can connect to it by setting the ‘DataSource’ property to ‘Schedule’. In the right pane ‘Form customization’ the layout and fields to show in the form can be chosen. 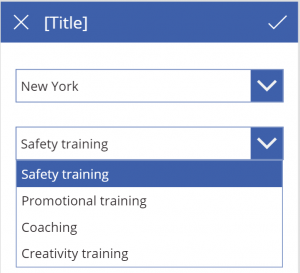 To save the data back to SharePoint we’re going to set the Location and Training values in the EditForm to the same values as the cascading drop downs at the top of the screen have. For choice and lookup fields this is the way to save the field back to SharePoint. 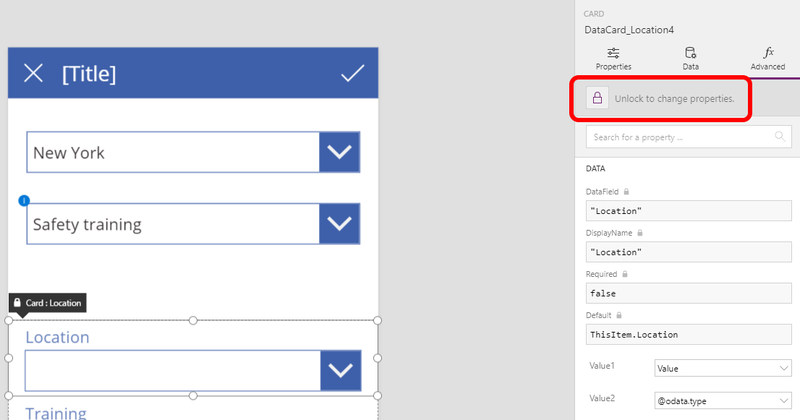 Therefor you have to unlock the data card by selecting the icon or text ‘Unlock to change properties’. Now update the Default property. If you did it right the value in the drop down in the Form updates immediately. Do the same for the Training field. Then the controls in the EditForm can be hidden to show only the ScheduleDate field and that’s it! Hit the Preview button again, select a Location, Training, fill in a ScheduleDate and press the ‘Submit item’ button at the top right of the screen. If you don’t see the ScheduleDate field set the Form in New mode, it probably is in Edit mode now. 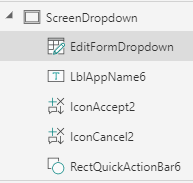 In this post I showed you how to create cascading drop downs and how to save this back to SharePoint. It contains a few caveats, but it’s quite doable. « Where is the Edit dropdown in the search hover panel? Any suggestions on how to find out why I am getting this error? Nicd post. It was very helpful in understanding how to implement cascading dropdown. Nice post, but is it possible to configure, if the value not in list. users can add new value within the new form (pop-up), than the new created value will auto selected in the list.